2018 Joint Chamber Golf Outing Was TEE-Riffic! The SOLD OUT 5th Annual 2018 Joint Chamber GOLF OUTING on Tuesday, 7/24, at Gleneagles Country Club was a a great success! 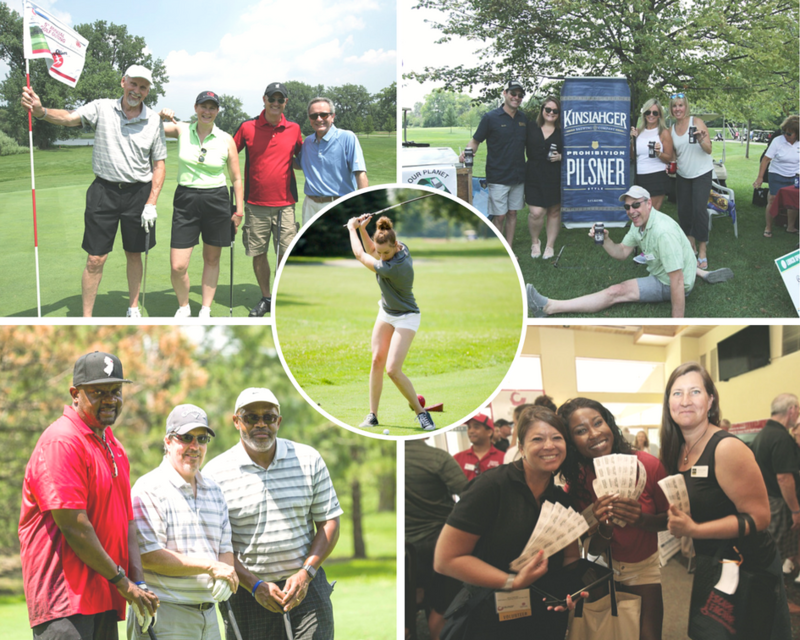 Held annually in partnership with the Forest Park Chamber of Commerce, the outing is a day of outdoor fun, networking and camaraderie for area business owners/leaders. SAVE THE DATE for our 6th Annual Joint Golf Outing on Tuesday, July 23! sell out 2 weeks in advance. Sponsors: We will sell two kinds of 2019 Golf advertising sponsorships - event + on-course sponsorships. On-course sponsorships vary greatly in terms of signage, game & sponsor presence on course or clubhouse. Prices range from $200 - $1500. These sponsorships are popular and will sell out quickly. Interested in sponsoring our 2019 Outing? View our 2018 sponsor brochure here. Or contact us. Thank you to our 30+ generous volunteers who helped make our day amazing!